Talk Time: Testing conducted by Apple in May and June 2007 using preproduction iPhones and software. All talk time testing was done connected to a 1900MHz network. All settings were default except: Call Forwarding was turned on; the WiFi feature Ask to Join Networks was turned off. Battery life depends on the cellular network, location, signal strength, feature configuration, usage, and many other factors. Battery tests are conducted using specific iPhone units; actual results may vary. 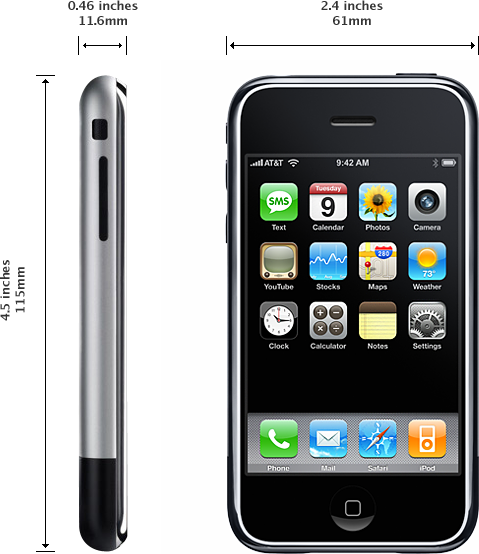 Standby: Testing conducted by Apple in May and June 2007 using preproduction iPhones and software. All settings were default except: Call Forwarding was turned on; the WiFi feature Ask to Join Networks was turned off. Battery life depends on the cellular network, location, signal strength, feature configuration, usage, and many other factors. Battery tests are conducted using specific iPhone units; actual results may vary. Internet over WiFi: Testing conducted by Apple in May and June 2007 using preproduction iPhones and software. Internet over WiFi testing conducted using a closed network and dedicated web and mail server, simulating browsing to 20 popular URLs and checking mail once an hour. All settings were default except: Call Forwarding was turned on; the WiFi feature Ask to Join Networks and Auto-Brightness were turned off; WPA2 encryption was enabled. Battery life depends on the cellular network, location, signal strength, WiFi connectivity, feature configuration, usage, and many other factors. Battery tests are conducted using specific iPhone units; actual results may vary. Internet over EDGE: Testing conducted by Apple in May and June 2007 using preproduction iPhones and software. Internet over EDGE testing conducted over a 1900 MHz EDGE, using a dedicated web and mail server, simulating browsing to 20 popular URLs and checking mail once an hour. All settings were default except: Call Forwarding was turned on; the WiFi feature Ask to Join Networks and Auto-Brightness were turned off. Battery life depends on the cellular network, location, signal strength, EDGE connectivity, feature configuration, usage, and many other factors. Battery tests are conducted using specific iPhone units; actual results may vary. Video Playback: Testing conducted by Apple in May and June 2007 using preproduction iPhones and software. Video content was a repeated 2 hour 23 minute movie purchased from the iTunes Store. All settings were default except: Call Forwarding was turned on; the WiFi feature Ask to Join Networks and Auto-Brightness were turned off. Battery life depends on the cellular network, location, signal strength, feature configuration, usage, and many other factors. Battery tests are conducted using specific iPhone units; actual results may vary. 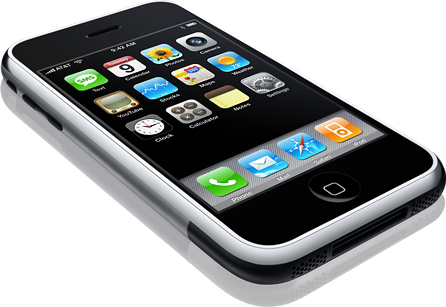 Audio Playback: Testing conducted by Apple in May and June 2007 using preproduction iPhones and software. The playlist consisted of 358 unique audio tracks, a combination of content imported from CDs using iTunes (128-Kbps AAC encoding) and content purchased from the iTunes Store (128-Kbps AAC encoding). All settings were default except: Call Forwarding was turned on; the WiFi feature Ask to Join Networks was turned off. Battery life depends on the cellular network, location, signal strength, feature configuration, usage, and many other factors. Battery tests are conducted using specific iPhone units; actual results may vary. 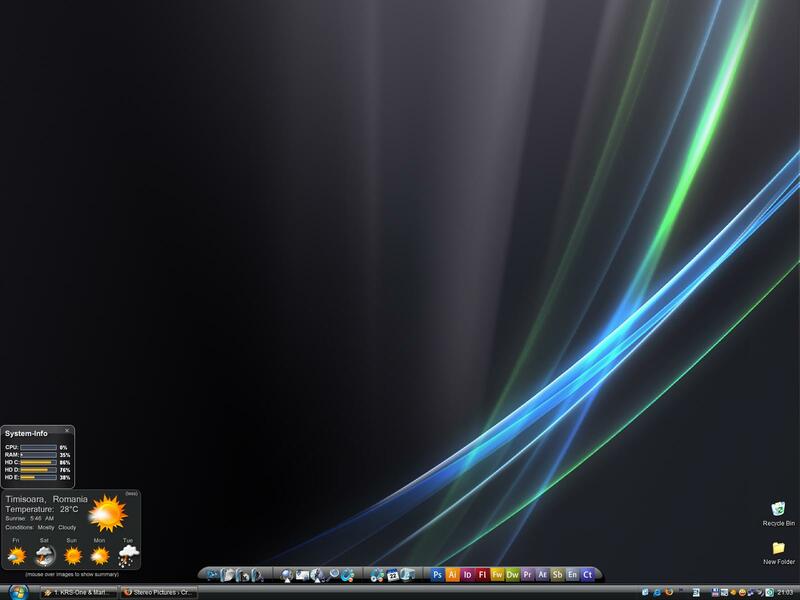 Operating System: Only Windows XP SP2 and Windows Vista RC1 or later are supported at this time. Disk: This technology preview uses almost no disk space. The ActiveX control is less than 5MB in size, and no local disk storage is used when the code is running. 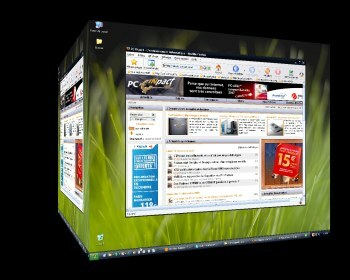 Graphics: We have tested Photosynth on graphics cards that are “Vista Aero Ready”. 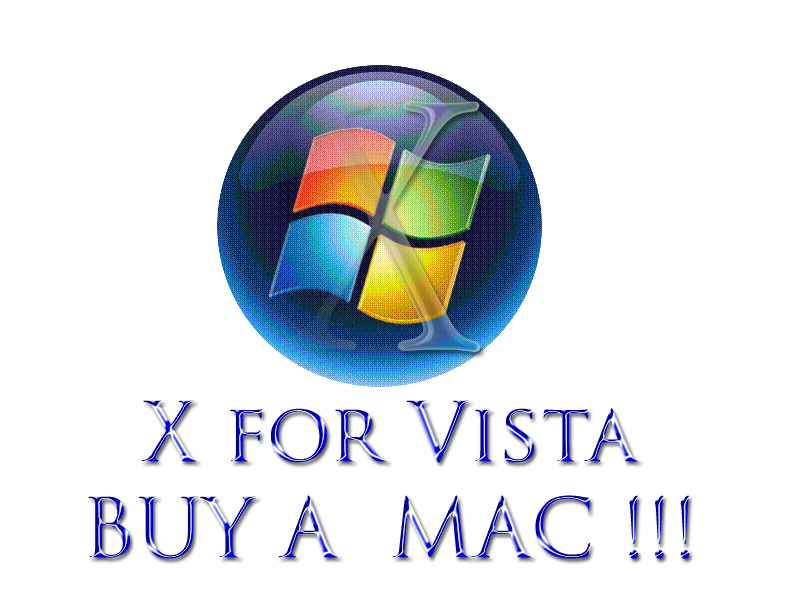 This includes: support for DirectX 9 graphics with a WDDM driver, 128 MB of graphics memory (minimum), and 32 bits per pixel. If you want to find out whether your card is suitable, the Vista Upgrade Advisor tool will tell you. Photosynth may run on cards that do not meet this requirement, but performance may be poor and functionality may be impaired. Important: Photosynth makes heavy use of your graphics hardware. If you have an older graphics system, especially an Intel Integrated Graphics one of the 8XX series, Photosynth will not run. Also, Photosynth requires that your graphics acceleration be set to Full. Mac OsX Leopard will include Core Animation! download the hosts.zip file.after that extract the content! run that file….u just double click on it or press enter or wa ever! now all u have to do is restart ur computer.If u dont wanna do that there is another way! now ull get a new window…..scroll down till u see dns client. congrats!now u dont…..u just blocked 40.509 ads !